Dave Grohl has reunited with the little girl who skips around in a Ku Klux Klan robe in Nirvana’s 1993 “Heart-Shaped Box” music video. Her name is Kelsey Rohr, and she’s not so little anymore! 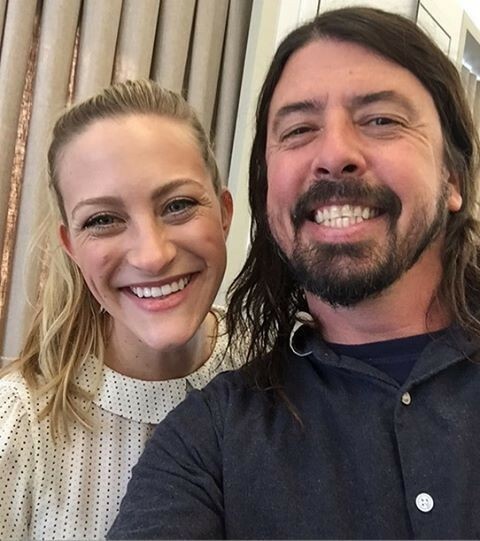 “Today Dave Grohl and I picked up right where we left off 23 years ago on set of Nirvana’s last music video ‘Heart-Shaped Box,'” Rohr wrote in an Instagram post on Wednesday. “Today reminded me that I peaked at 6 years old BUT I was the most badass kid on the playground. Today was the absolute coolest. Or in Dave’s words seeing each other today was a ‘historic moment! '” Check out a photo of the two of them together and revisit the video below.